The Cormoran Strike Mysteries, written by Robert Galbraith (J.K. Rowling’s nom de plume) are due to be adapted for television by the BBC, according to a report by Entertainment Weekly. 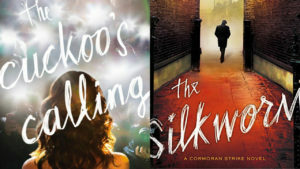 There were talks last year about a television series for the first two books in the series, The Cuckoo’s Calling and The Silkworm, but we are only now getting some concrete details on the project. The BBC recently presented their upcoming slate of series, which included some information on The Cormoran Strike Mysteries in the drama category. According to an official release from the BBC, the writers have already been chosen to adapt the detective novels for the small screen. Sarah Phelps (who adapted Rowling’s The Casual Vacancy) is set to write for The Cuckoo’s Calling while Ben Richards will be tackling The Silkworm. TV veteran Julian Farino (Baller, Entourage) will be directing. Steeped in the atmosphere of contemporary London, Cormoran Strike’s city is far from the bright lights and frenetic bustle, immersed instead in its darker, murkier side. War veteran turned private detective, Strike investigates shocking crimes together with his female assistant Robin, whose forensic mind and fierce determination he cannot ignore. The murders take them from the hushed streets of Mayfair to the literary haunts of Fitzrovia, exposing the seedy reality lurking beneath seemingly innocent societies. With each crime, they discover a little more about each other and both learn that appearances can be deceptive. 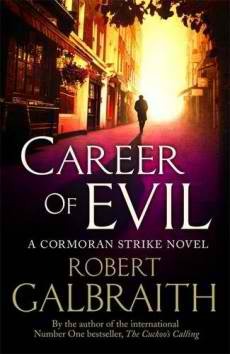 While there are no official details about when the television adaptation will air, the third book in the series, Career of Evil, will be hitting shelves on October 20.